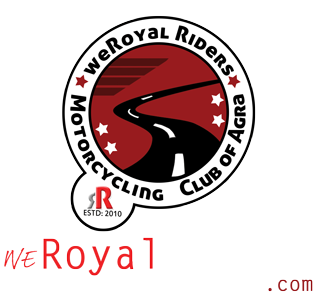 Many stories have been covered on weRR website about History of Royal Enfield, from “Fastest Royal Enfield” to “First world war ERA 425cc V-twin” and ofcourse how Indian Government saved Royal Enfield legacy. And we all knows that during 1960-70s, Royal Enfield England was not able withstand competition with Japanese bike manufacturers at that time. They were not only falling behind in technology but were also not able to keep up with existing demand. Company actually failed to gauge the competition from Japanese in time and ultimately succumbed to its own miscalculation along with other British Bike companies of that time. But little before this, in 1955, the Indian government, had ordered 800 350 cc model Bullets, which was supposed to be a very big order in those time for a motorbike company. 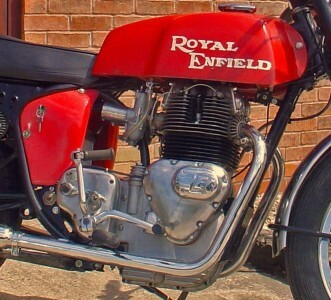 In 1955, the Redditch company (the RE owners) partnered Madras Motors in India in forming ‘Enfield India’ to assemble, under license, the 350 cc Royal Enfield Bullet motorcycle in Madras (now called Chennai). AS per Indian law, Madras Motors owned the majority (more than 50%) of shares in the company. 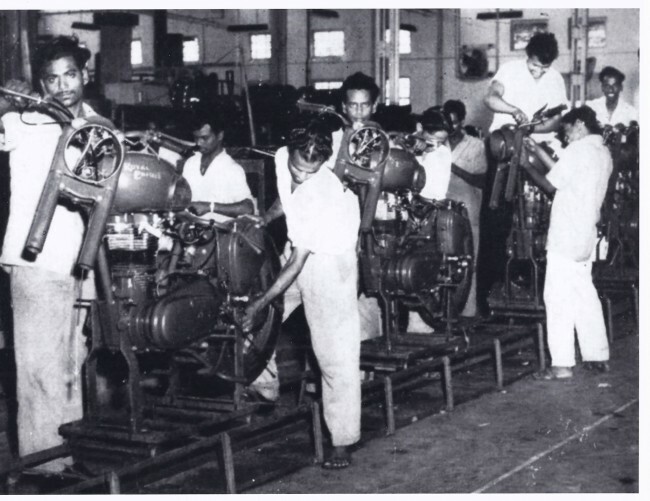 In 1957 tooling equipment was sold to Enfield India so that they could manufacture components. And hence by 1962, they were manufacturing complete bikes. Though back in Britain, there was furious competition, its Indian operation was untouched and it was actually flourishing here. 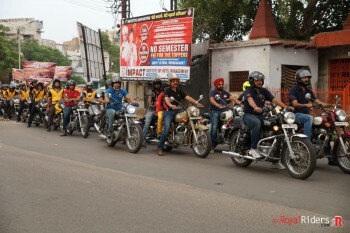 Much has been told already about history of Royal Enfield at places, rise in England, fall and again rise in India. Below is a documentary made by BBC few decades ago, its worth a watch. Though documentary is good 29 minutes long, they have only covered brief about the history of RE. But it was quite interesting to see that Leisure Biking was already spreading its wing across Europe at that time and Royal Enfield had considerable contribution to it. On the other hand leisure Biking is still in imminent stage in India but people are gradually accepting it. Another interesting part is that while company lost to competition back in Redditch due to lack of modernization and costly labour, in India same worked for another 40-50 years, the 1950’s bullet model was still in production in India for next 50 years or so with little or no modification as G2 which were initially imported and later on as B1 which were completely made in India. 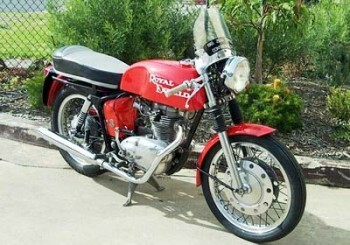 It is not that Royal Enfield sales weere immune to latest technical advancement, near start of 21st century, Royal Enfield also had started loosing ground in India to newer, lighter and peppier bikes from names like Kawasaki, Honda. It was almost similar to situation what parent company had faced in 1960-70s back in England but here in India, it happened only after several decades. Although it was not exactly similar in India as owing a two wheeler is something quite different. England made distances from Royal Enfield for not being modern but India, that part work well for it. Ironically, it is believed that Royal Enfield was preferred by Indians over other more modern bikes for its simplicity, widespread acceptance and availability of spares along with mechanics. Company was in trouble in 1990s, and in 1994, Royal Enfield was acquired by Eicher Motors which later gave it new lease of life and now its one of the most celebrated by bike manufacturer in India and not to forget, the “world’s oldest bike production company”. Hopefully you have enjoyed reading it as much as I did in compiling and watching the documentary. Its just interesting that how history repeats itself. Once one of the best bike, later almost closed down and now again threatening position of even world’s biggest bike companies, that is Royal Enfield.